Materialize CSS Tutorial provides basic and advanced concepts of Materialize CSS. Our Materialize CSS Tutorial is designed for beginners and professionals both. 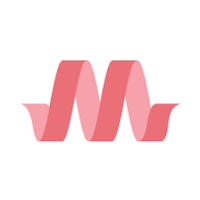 Materialize CSS is an UI component library which is designed by Google. Our Materialize CSS Tutorial includes all topics of Materialize CSS such as what is Materialize CSS, introduction, installation, colors, grids, tables, buttons, media, shadows, badges, cards, chips, footer, form, icons, navbar, pagination, pager, dropdown, dialogs, tabs etc. To learn Materialize CSS, you must have the basic knowledge of HTML and CSS. Our Materialize CSS Tutorial is designed to help beginners and professionals. We assure that you will not find any problem in this Materialize CSS tutorial. But if there is any mistake, please post the problem in contact form.